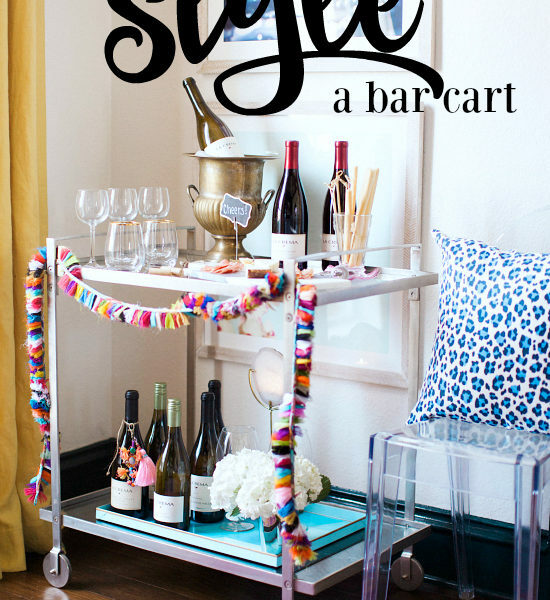 1 Bed | 4 Ways | hi Sugarplum! 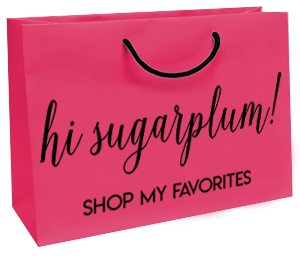 Hey friends, thanks so much for your response to the latest Sugarplum Style! 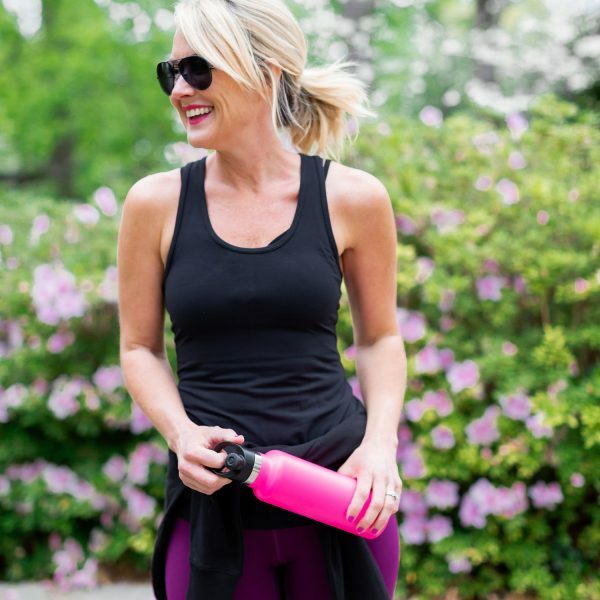 I’m thrilled you love those posts…and hope you scooped up the beaded bracelet trio while the Hi Sugarplum exclusive offer is still going! 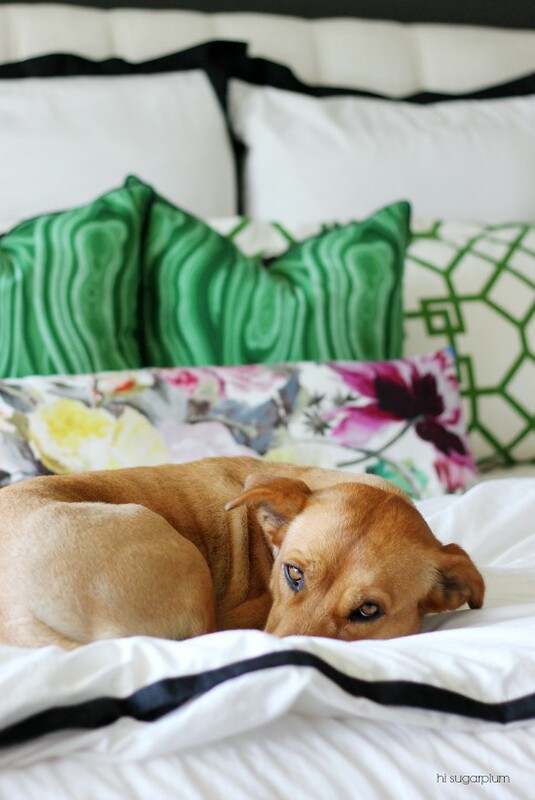 Today I’m excited to share a little trick, a secret tip…a golden nugget, if you will…how to create multiple looks for your bed (or sofa!) 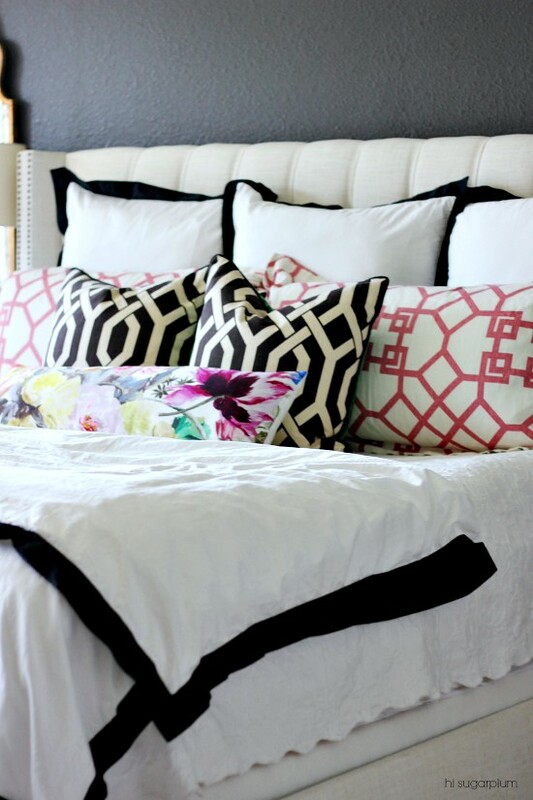 using only a single set of pillows! I actually stumbled on this genius idea because of my chronic indecision, but looks like I got the last laugh on that one! Also, Mr. SP grumbles less about the number of throw pillows when he’s not tripping over them! 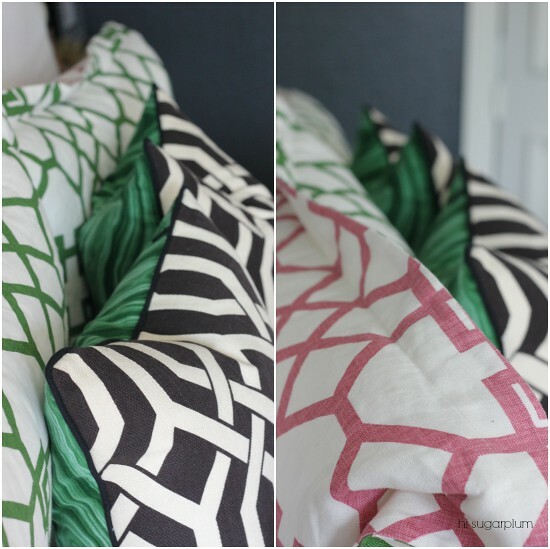 Now about this trick….when working on our Master Bedroom for the One Room Challenge, I couldn’t decide if I wanted a trellis pattern or the malachite for the throw pillows, and pink or green for the shams. 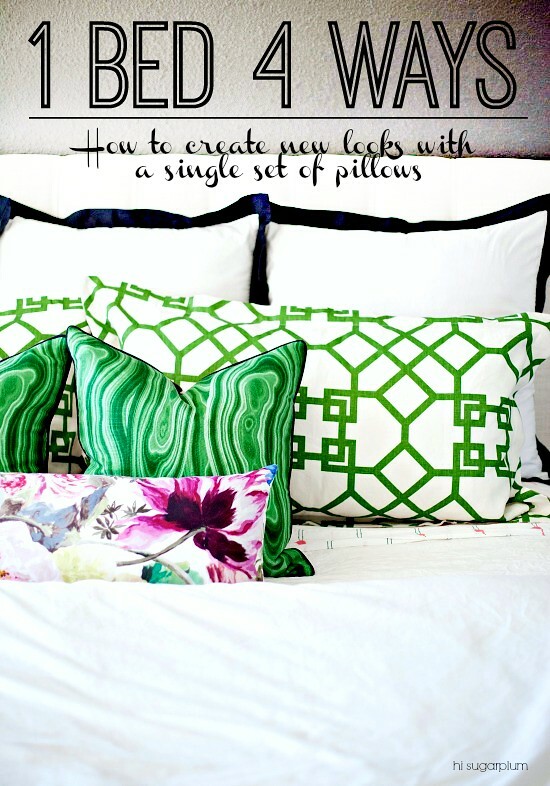 But thanks to Loom Decor’s create-your-own pillow option, I didn’t have to choose! 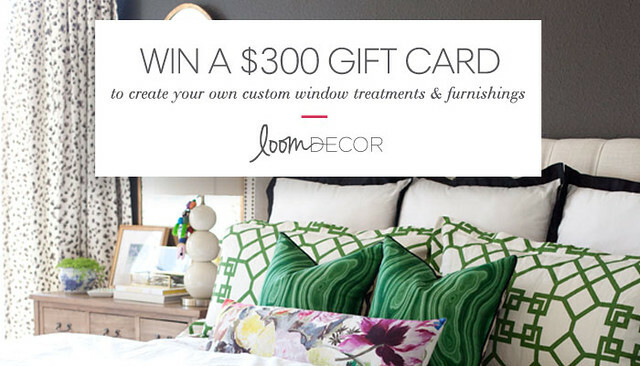 And the fun just keeps coming…the generous folks at Loom Decor are giving a Hi Sugarplum reader $300 to create your very own custom pillows (or window treatments and poufs!)!! 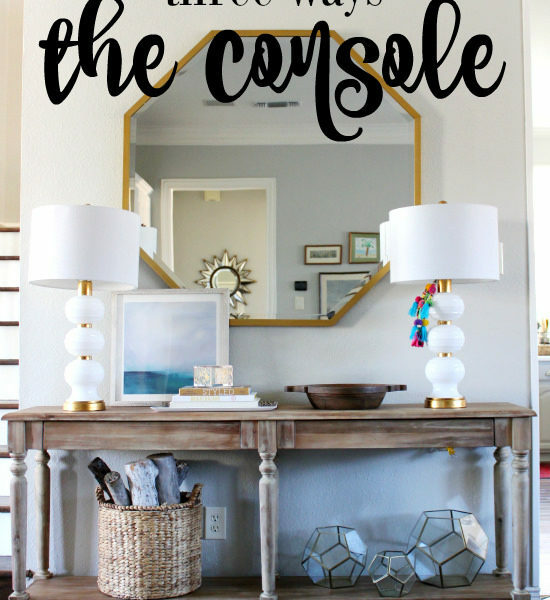 Just hop over here for your chance to win! Update: There were technical difficulties with the link earlier, but it’s working now! Good luck with the giveaway! 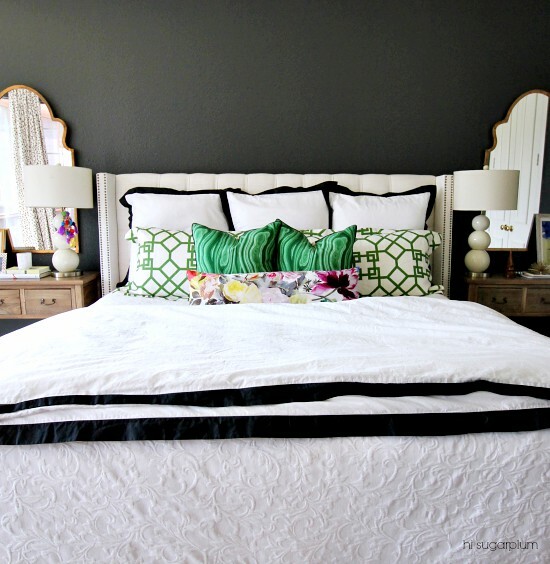 See the full Master Bedroom Tour here, and get the complete Source List here. 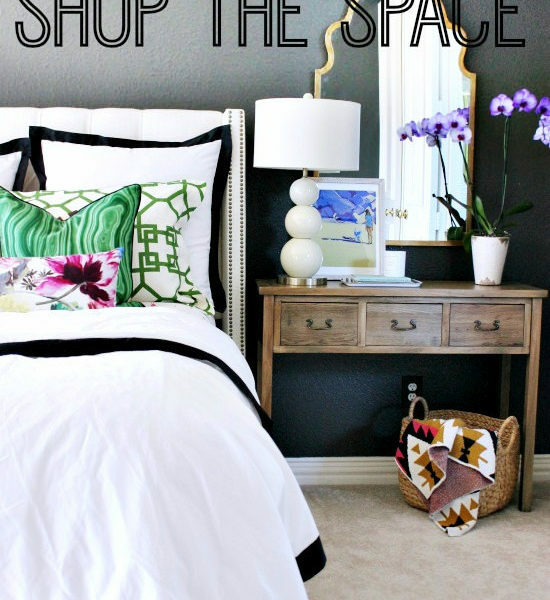 And if you’re really looking to kill time, read all six weeks of the One Room Challenge here. 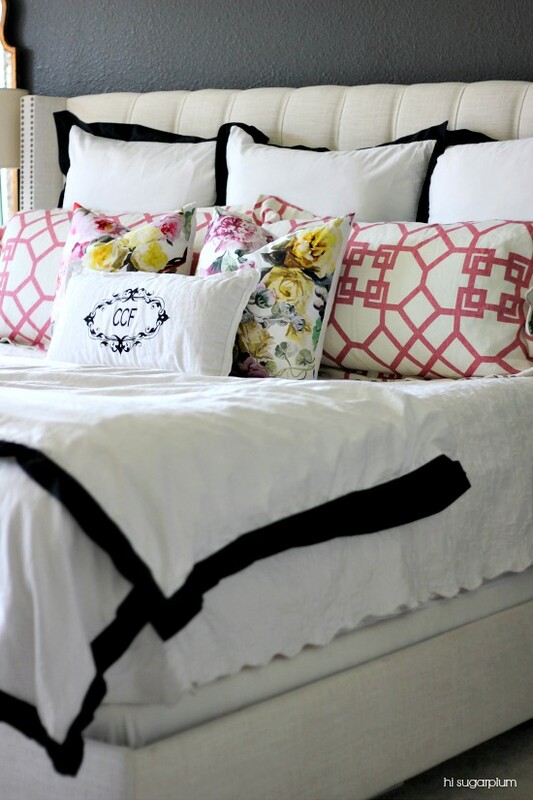 Love the double sided pillow. 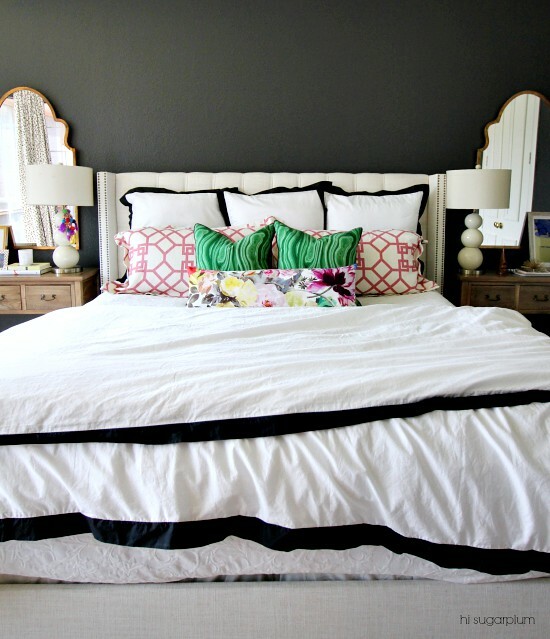 I only make my bed for special occasions (and never right when I wake up!) – so I think that puts me in the sloppy pig camp. 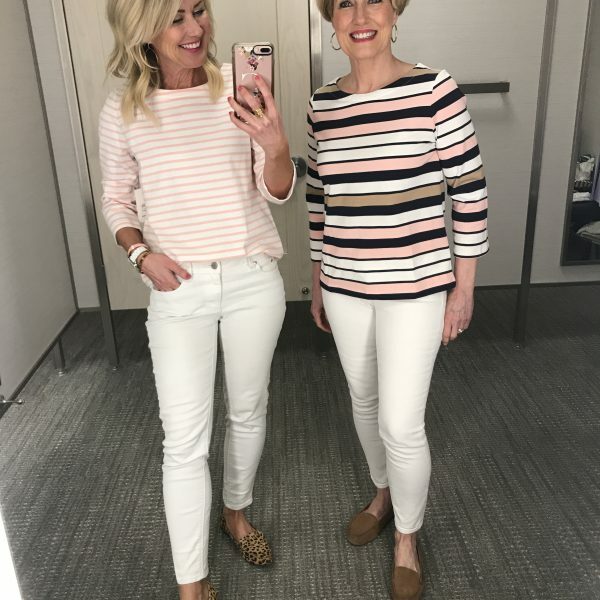 Look #3 and #5 are my favorites–hard to choose just one. My husband is a gem, and he makes our bed every morning. 🙂 I like a made bed more than an unmade bed, but I don't like to do the making. 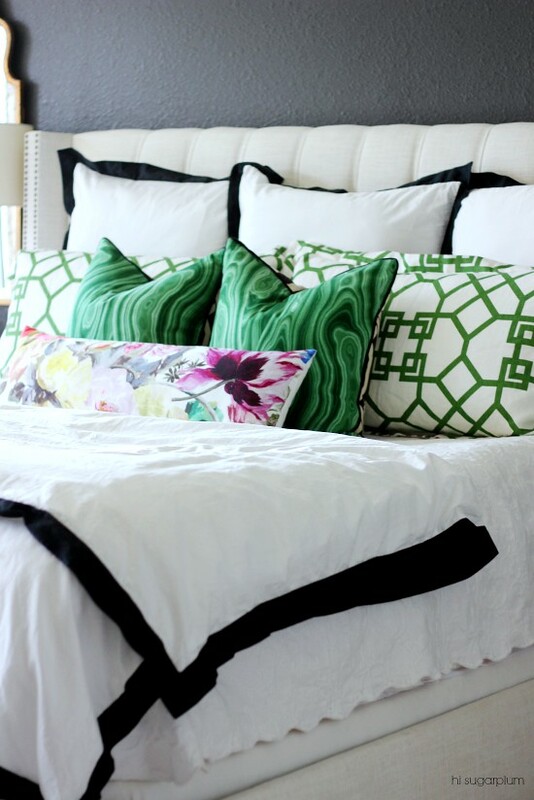 And…he even puts the pillows on because he knows I like it! Sorry for the technical difficulties…it appears they have it up and running now!! Thanks, Kathy! I love them all. I make double duty pillows too. Such a great idea for a pillow lover. I am also a bed maker. That is a genius idea!!! I love it!! 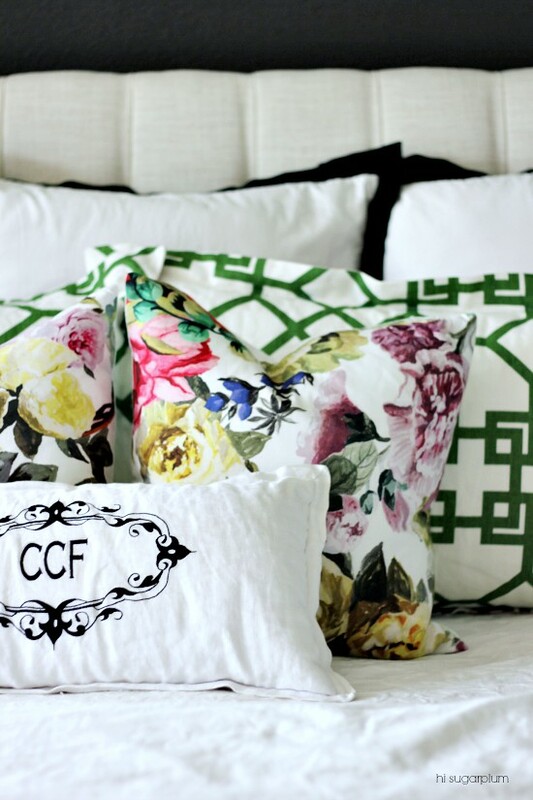 Who doesn't love throw pillow options??? P.S. I can't get the link for the giveaway to work either. Thanks, mindy!!! Looks like the link is working now…good luck with the giveaway! I'm in love with look four the most out all of the looks. Sorry for the delay this morning! The giveaway link is up and working! Good luck to all! I am loving Look 3 and Look 6 and I have to say that I am totally unable to get into an unmade bed at night. That is one of the first things I do in the morning. I have longed for Orangerie pillows for several years now. Thank you for the opportunity. Fingers crossed. 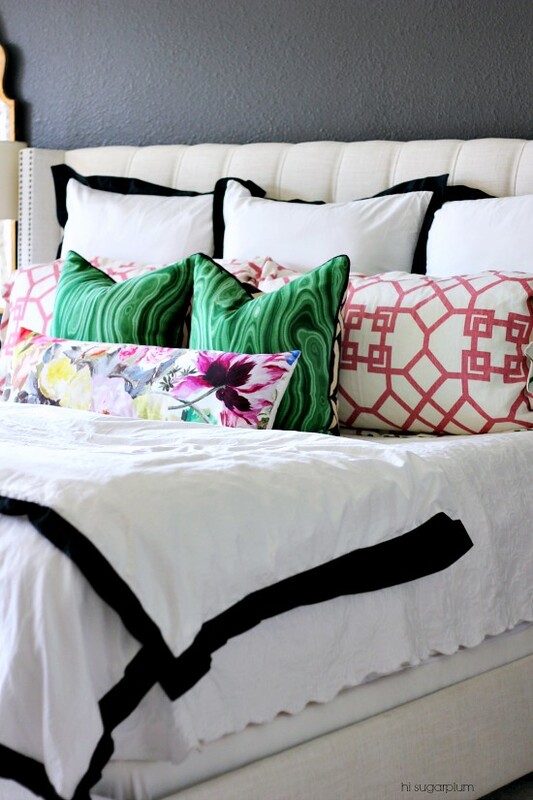 I absolutely love how you can change up the look of a bed with pillows — and these are all gorgeous! I love these looks!! My boyfriend doesn't understand my love of throw pillows (#boysjustdontgetit) and totally judges me for having so many and then putting them on the floor. I'm also not the best bed maker so that doesn't help. Lol! Hope I win!!! That is genius! I have been hemming and hawing trying to decide! 🙂 I love the pink! May be a silly question, but where are you hiding your sleeping pillows? 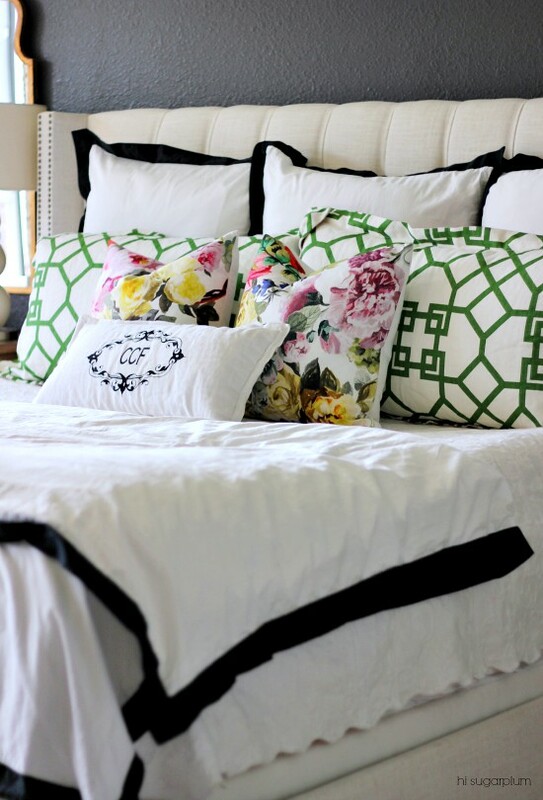 Or do you sleep on these pretty pillows??? I really don't think I could pick my favorite! 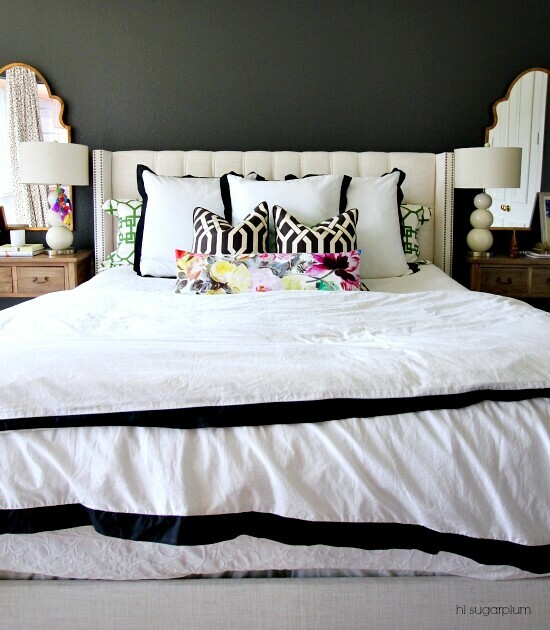 The stripes, the floral, the print…I love every little detail! 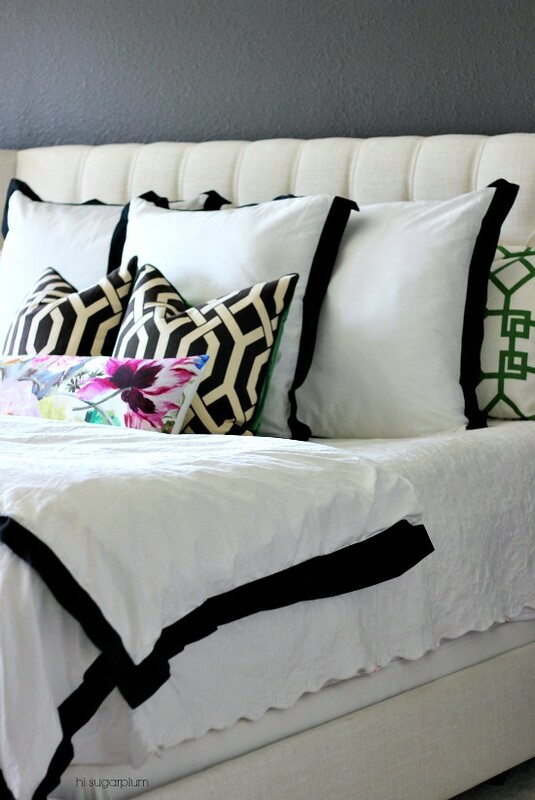 What an awesome way to change the look without new pillows. I love a made up bed. 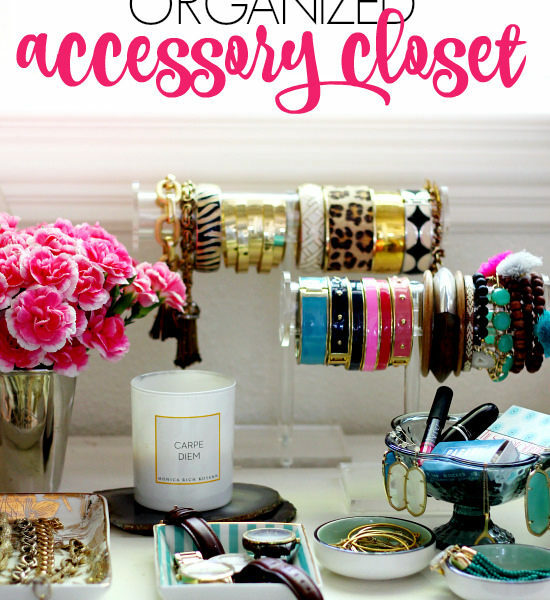 Instantly makes a room feel tidy! I love Look 3 – makes those colors pop! And oh sweet Maggie…she loves ALL the looks! I am definitely a sloppy pig. My bed never is made unless company is coming. Even then, it depends on the company! If it's someone I don't know well, the bed gets made, otherwise it stays unmade. My husband and I actually have separate sleeping blankets, and neither of those blankets are used to make the bed. It's a mess. Totally in love with look #6, btw! Really?? I looks to be working okay on my computer? Maybe try a different browser? I'm so sorry it's giving you trouble! I am in the bed makers, mayonnaise and dijon camp! This is such a great tutorial. And those beds are lovely. I've added this post in my monthly roundup of great blog posts around the internet. Thank you for sharing!